You’re among friends at Advanced Dental Centre. You’ll always be greeted with a warm welcome and a friendly chat, before we invite you to relax watching a ceiling TV or listening to your favourite music. As a team, we are committed to providing high quality dental care in a friendly environment. Our approach to dentistry is to combine highly experienced dentists with the latest technologies and techniques, while at the same time, creating a friendly and comfortable environment. We believe a visit to the dentist should be one to look forward to, not an experience to be anxious of. This is particularly important for children, as it’s crucial to bring positive associations of the dentist early on. We also believe in a much more holistic approach, meaning that we undertake all dental treatments, including general, preventive dentistry, restorative dentistry and cosmetic dentistry – everything from porcelain veneers, tooth whitening and dental implants, to crowns and bridges, tooth-coloured fillings and teeth cleaning. Our dentists are all members of the Australian Dental Association (ADA), and we strive to constantly upgrade our skills and knowledge through further study. It’s our aim to provide the latest techniques in preventive, restorative and cosmetic dentistry. The Advanced Dental Centre team is proud to announce that we have been awarded full accreditation under the National Safety and Quality Health Service Standards. The Standards, developed by the Australian Commission on Safety and Quality in Health Care, provide a nationally consistent statement on the level of care patients should be able to expect from health services. 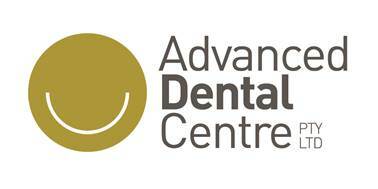 Advanced Dental Centre is one of few South Australian dental practices to receive full accreditation. What does this mean for you? It means you can rest easy, knowing that the entire Advanced Dental Centre team is committed to excellence in dental care. On your first appointment at our dental clinic, which is located at Suite 1, 360 Cross Road, Clarence Park, Adelaide, one of our highly-qualified dentists will thoroughly examine your teeth, gums and soft tissues to identify any acute concerns which may require immediate treatment. We will evaluate your medical and dental history and assist you with any oral hygiene issues. Our approach is aimed at producing a healthy mouth and preventing dental problems before undertaking any aesthetic dentistry you might wish to have. Video analysis of your mouth will aid in the evaluation process, giving you a clear understanding of your dental condition. A detailed and comprehensive treatment plan will be prepared taking your clinical findings into consideration. The plan will include a written estimate of costs, a sequence of dental treatment and a timeline for completion.